Reverb has partnered with artists across the music industry to auction off music gear and memorabilia in support of the next generation of musicians. 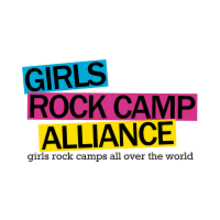 The Girls Rock Reverb Charity Auction will run from May 10 to May 16, with all proceeds benefiting the Girls Rock Camp Alliance (GRCA)—a nonprofit that supports more than 100 programs across the globe, offering summer rock camps and related music education programming for female, transgender, and gender non-conforming youth. Note that Reverb.com is an online marketplace for buying and selling music gear and the site only hosts auctions on the rare occasion that the team deems items truly one-of-a-kind.